Few residents at Millennium Tower claim a residential exemption, suggesting those units may be second homes or rental properties. Many buyers of condominiums in the new luxury towers sprouting around Boston are either part-time residents or investors — sometimes with no clear connections to Boston — according to a study published Monday that argues the city’s high-end building boom is doing little to help local residents. Researchers with the Institute for Policy Studies, the Washington, D.C., think tank that produced the report, combed property records for some 1,800 condos in 12 newer luxury buildings in Boston, from the Millennium Tower in Downtown Crossing to the petite Le Jardin, overlooking the Public Garden. They found that more than one-third of the units are owned by limited liability companies, trusts, and other business entities that allow buyers to obscure their identities. Just 36 percent of owners requested the property tax exemption the city offers homeowners — a sign that the owners may live elsewhere most of the time. The report is the latest example of the growing concern among housing advocates that Boston’s development boom is producing little that most locals can afford. In this case, study author Chuck Collins said, it appears whole buildings are being constructed for global elites who are looking to park some cash. But developers and real estate agents in the luxury market rebut that charge, saying they have little interest in selling condos that sit empty most of the time. Global demand for housing in Boston is a sign of the city’s vibrant culture and economy, and many new buildings limit the number of units they sell to investors, they say. Fallon Co.’s 22 Liberty condos in the Seaport target suburbanites, the developer says. The study found that more than half of the 51 condos at the Mandarin Oriental on Boylston Street are owned by trusts — a mechanism sometimes used by investors but also sometimes used by owner-occupants for legal or liability reasons. Meanwhile, barely one in five residents at Millennium Tower claim the residential exemption — suggesting those units may be either second homes or rental properties. Many units in these buildings were bought with cash, property records show, and the institute said the average sale price across all 12 developments topped $3 million per unit. Thousands more condos priced in the seven figures are under construction or are being planned in and around downtown — extreme examples, advocates say, of so much of the housing cropping up in city neighborhoods, properties priced beyond the reach of most middle-class residents. That question is also reverberating in other high-cost cities, from New York to San Francisco to Vancouver, which last year levied a new tax on thousands of so-called empty homes of 1 percent of taxable assessed value. The city said the tax has so far raised $30 million for affordable housing programs. The institute, a left-leaning organization that advocates on economic and social issues, recommended that Boston consider following Vancouver with its own empty-home tax, as well as a surcharge on home sales above $2.5 million. Boston City Councilor Lydia Edwards held a hearing in April to consider taxes on speculative or vacant high-end housing and is planning more discussions on the topic this fall. She said it’s clear the flood of high-end housing isn’t helping the many residents who can’t afford rents, which can easily top $2,000 for a one-bedroom unit. 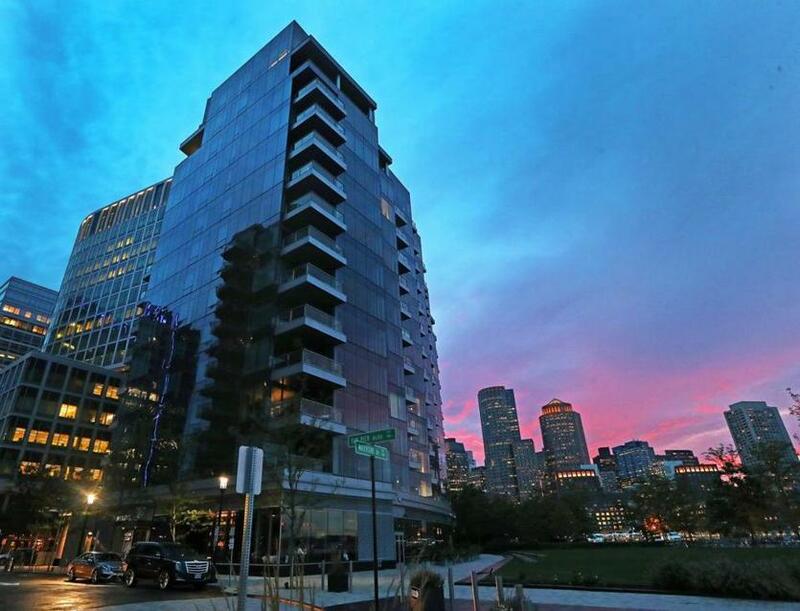 Fallon Co., whose 22 Liberty condo building in the Seaport was cited in the study, said its primary market is suburban empty-nesters who are trading a family home in, say, Wellesley, for a perch on the waterfront. Builders with more global aims, such as Richard Friedman, developer of the One Dalton tower in the Back Bay, said they require would-be buyers to disclose their identities and limit the number of units they sell to investors, preferring buyers who will live there. 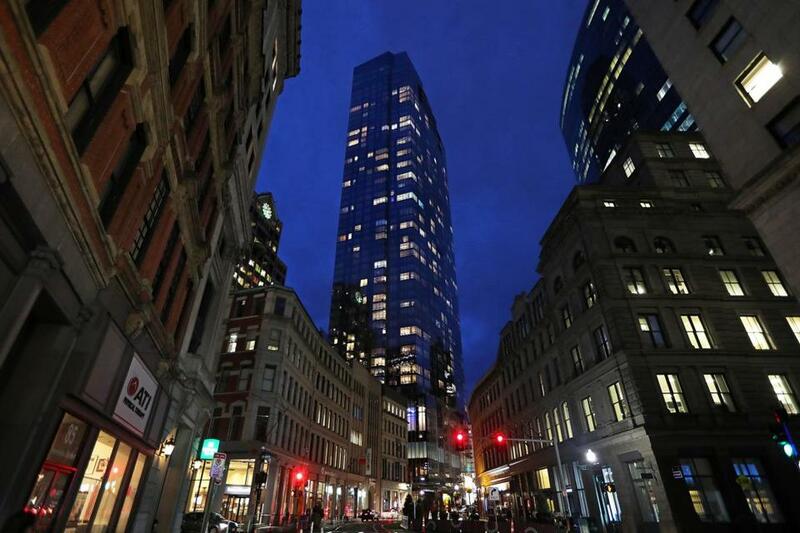 Millennium Partners appears to have sold a substantial chunk of Millennium Tower to investors — many of them from overseas.The company declined to share owner-occupancy figures but has noted that its investor-owned units are typically rented out, bringing new residents to Downtown Crossing and providing housing in a tight market. Many high-end developers here cap investor sales at 20 or 25 percent of a building, Hawkes said, in part to satisfy mortgage lenders who want to see a large share of owner-occupants. And there are many reasons buyers might use shell companies to make their purchases: privacy, for one, or to hold the property in trust for tax or liability reasons. Truly anonymous buyers, represented only by brokers or lawyers, surface occasionally, Hawkes said, but not often. Still, the number of cash transactions and anonymous deals, Collins said, raises the specter of shady foreign buyers using US real estate to hide or launder illicit money. Two years ago, the Treasury Department launched an investigation of money laundering by foreign buyers in a half-dozen US cities, closely examining all-cash, shell-company purchases. The government oversight has chilled parts of Miami’s foreign-money-fueled condo market, and US Senator Marco Rubio, a Florida Republican, has filed legislation to extend the Treasury investigation nationwide. Earlier this year, Mayor Martin J. Walsh asked the Treasury Department to add transactions in Boston to its investigation. That process is ongoing, a Walsh spokeswoman said. A Treasury spokesman did not respond to a message on Monday. In 2015, the Walsh administration forced developers of high-end condos to contribute more to city programs that finance affordable housing. And Boston passed an ordinance to sharply limit short-term rentals, in the hopes that more apartments are rented yearly to residents, instead of nightly to tourists at much higher rates. “It should go without saying, however, that every unit of housing being built should be occupied to help ease Boston’s housing shortage,” Dillon said.